Buying a used car has many benefits, which is why many people prefer used vehicles to new ones. Once you decide you’re ready to purchase a used car, you’ll have to determine where you want to shop for one and you have several choices. You’ll find many independent car dealers located in Miami along with some buy-here/pay-here car lots. You also have the option of buying a used car from individuals. However, to ensure you get the best deal and a used car you can depend on, you may want to take a closer look at the used cars offered by dealerships. Buying from a dealership offers benefits that you can’t get from other dealers or individuals, which will help ensure you’re happy with the investment you make. If you’re trying to decide if it’s the right choice for you, below are three reasons to buy used cars from a dealership that you can’t ignore. Have you ever bought a used car that just didn’t perform as well as you expected it to and then you were left to deal with the problem on your own? You won’t have that problem when you buy from a reputable dealership. 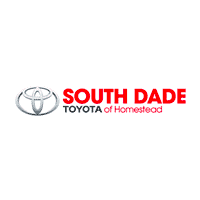 Here at South Dade Toyota, we believe service after the sale is just as important as before, which is why we take customer service very seriously. We’ll listen to what you’re searching for in a vehicle and then help you find the perfect used car, truck or SUV for your specific needs. After the sale, we’re always available to answer questions or to address any concerns you might have and you’ll always receive friendly, professional service. When you go shopping for furniture or even clothing, you want a wide selection to choose from, right? So, why should shopping for a used car be any different? We have a wide selection of used Toyota vehicles at affordable prices that will make it easy for you to find the perfect used car. You’ll find some really great deals, too when you shop with us. Most small independent dealers have very limited selection, which usually means you won’t find exactly what you’re looking for so you’ll have to settle for something else. It can be frustrating paying for a vehicle when it’s not what you really wanted, so having a wide selection makes a difference. Dealerships offer you more buyer protection because they’re not allowed to sell damaged or unsafe vehicles. All dealerships must comply with the Fair Trading Act that prevents them from misleading or deceiving buyers in any way. This was designed to protect you before the sale takes place. They must also comply with the Consumer Guarantees Act, which states that all vehicles sold must be in good shape and that the asking price is reasonable based on the condition of the vehicle. This law protects you after the sale. Buying from a dealership has many benefits and we’re here to help you find the perfect used car for your needs.